Stateside's conversation with Paul Young, founder and publisher of "Detroit Music Magazine." A sidewalk plaque outside the Apollo Theater in New York City. When Aretha Franklin died last week, the world lost a voice unlike any other. To honor Franklin, a tried and true Detroiter, we bring you an all-Aretha edition of Detroit Mixtape. Paul Young, founder and publisher of Detroit Music Magazine, joined Stateside to reflect on Franklin’s musical career and ties to Detroit. “Detroit couldn’t be prouder to say that this is someone that came from the Midwest, came from a hardworking town, a Rust Belt town,” Young said. Listen above for Young’s breakdown of four Franklin tracks and a recap of her many successes as a musician. The world lost the “Queen of Soul” this morning. Aretha Franklin, 76, passed away from pancreatic cancer at her home in Detroit. 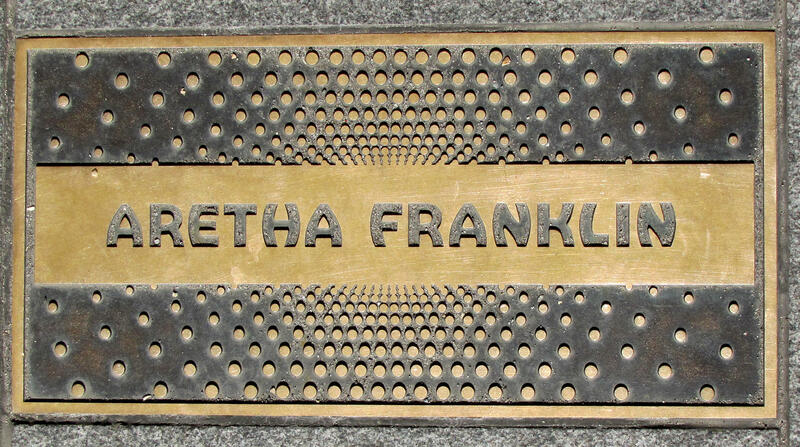 Franklin's voice helped create hits like “Respect,” “(You Make Me Feel Like) A Natural Woman,” and “I Say a Little Prayer.” She was the first woman ever inducted into the national Rock & Roll Hall of Fame in 1987. While she is most well-known for her gospel and soul recordings, Franklin’s voice and talent also extended to opera. Memorial and funeral plans have been announced for Detroit’s own Queen of Soul. Arethan Franklin will lie in state at Detroit’s Charles H. Wright Museum of African American History on August 28 and 29. The viewing will be open to the public. That will be followed by a private funeral at Greater Grace Temple on August 30.